Do you feel that your WiFi router just doesn’t give you enough coverage? 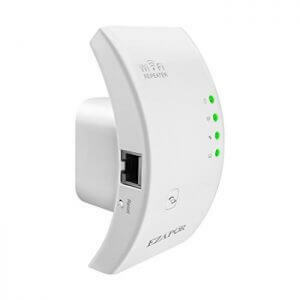 WiFi repeaters or extenders are here to solve that problem as they can extend the coverage of your WiFi. 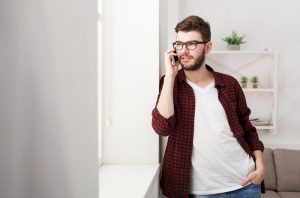 In this post, we’re going to explain in detail how you can select the best Wi-Fi repeater for your personal preferences. We’ll also introduce popular Wi-Fi repeaters on the market that we can recommend. Let’s check out the following points of consideration when choosing a WiFi repeater. 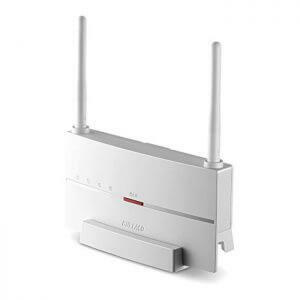 Just like WiFi routers, WiFi repeaters have standards regarding their communication speeds. The current mainstream communication speeds are 11ac and 11n. It means that devices that are compatible with receiving these standards can communicate at high speeds with the repeater. 11ac bands contain a 5GHz frequency, and it tends to have a standard communication speed of 433 to 867Mbps. However, the 11n standard is divided into 5GHz and 2.4GHz bands. Most routers and repeaters that can only accommodate the 11n standard have a lower speed than devices that can send and receive 11ac frequencies. Repeaters that can provide the 11n standard will usually have speeds from 150 to 300 Mbps. High-spec models can exceed the 867Mbps mark as they can provide as much as 5GHz of communication speeds. It’s always a good choice to go for the model with the faster communication speed, albeit it does mean spending more than you should. There are two types of frequencies used by WiFi repeaters. Dual-band models tend to be compatible with both frequencies. However, there are devices that can only support one. Choose the right repeater that fits your network environment. The 2.4GHz frequency band is favored by many because of its long and wide range of communication. Furthermore, the radio frequencies emitted by this band won’t degrade much when passing through obstacles. However, users tend to find it difficult to connect with this band, especially when there’s a microwave oven nearby. 5GHz Band – Less Radio Interference. Faster Speeds. Using the 5GHz frequency band allows your devices to communicate with the repeater at faster and more stable speeds. However, it’s very vulnerable to obstacles, and the range is very short. This band is ideal for families using different wireless devices in a small area. Even if there’s a microwave oven nearby, it doesn’t interfere with the signal. There are two types of WiFi repeaters: one that comes as a receptacle user can plug directly into an outlet, and the other that plugs a cable into the electrical outlet. The former is generally compact. Receptacle Wi-Fi repeaters, on the other hand, let users install it just about anywhere around the network as long as there’s an outlet. Although, there are times when the plug variant is a more suitable choice than its receptacle counterpart. Not all modern electronic devices can receive Wi-Fi signals. Hence, if you’re using a computer or a TV that can’t receive wireless radio signals, then a Wi-Fi repeater with a LAN port will definitely come in handy. 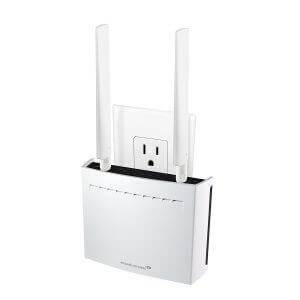 Many of us aren’t too familiar with installation procedures regarding WiFi repeaters. There are some WiFi repeating devices that have one-button installation methods for those who don’t want complicated instructions. 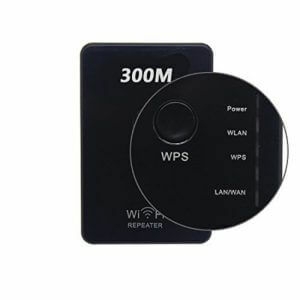 Users can even take advantage of an AOSS or WPS button on the repeater to immediately connect to a compatible router. 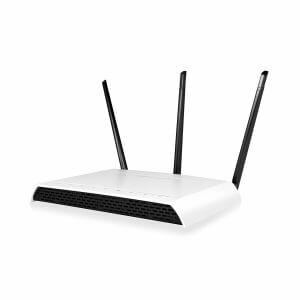 Manufacturers of WiFi routers tend to create WiFi repeaters under the same brand. 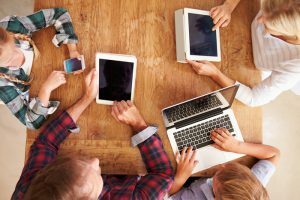 If you don’t want to have any issues regarding wireless connections and communication speeds, then choose devices under the same company. Always ensure that the repeater is compatible with the router. There are some models that do contain restrictions and limitations. We’ll introduce our top recommended Wi-Fi repeaters in this segment. We’ve based our ranking on the points of consideration discussed above. Most WiFi repeaters work better if you get closer to it, but that’s not the case with the RE305 by TP-Link. It’s not the fastest repeater on the market, but it’s an ideal choice for large houses. 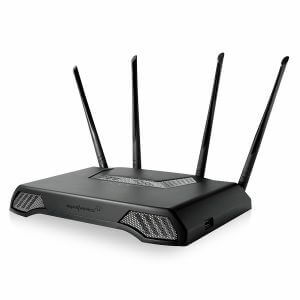 It lets users take advantage of both 2.4GHz and 5GHz frequencies. It even has a fast Ethernet port for wired devices. As for its design, the best word to describe it is “cute.” This device has white rounded edges that sport two short antennas. 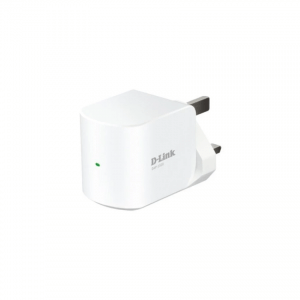 Size isn’t everything in the world of WiFi repeaters, and that’s certainly the case with the DAP-1320 by D-Link. Its minuscule architecture is enough to fool anyone to think that it doesn’t have a lot to offer. That may be true, but its cheap price tag is enough to entice anyone to buy it. You’re not going to get a lot out of it, but at least you’re not going to spend a whole lot of cash to own it as well. 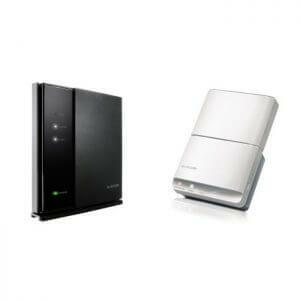 The world of WiFi repeaters and range extenders come with devices sporting different designs. The Titan-EX RE1900A by Amped is certainly one of the uniquely designed models you can spot on the market. It comes with a lot of management options, and it comes with a very quick throughput. However, it’s expensive price tag might put off some people, as this device also lacks parental controls. Houses and establishments that have trouble getting wireless signals because of obstacles may consider buying the RE1750A by Amped. This Wi-Fi repeater can reach the farthest regions of your home or office, even though there might be a lot of walls or furniture in the way. It should also be noted that it’s reasonably easy to install. Like the Titan-EX from the same brand, the RE1750A comes with an expensive price tag. Its 5GHz frequency band also leaves more to be desired. 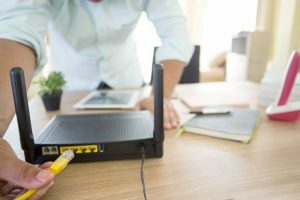 Some Wi-Fi routers and wireless signal repeaters have really complicated instructions, and non-tech savvy individuals might get frustrated over the fact that they can’t install their devices immediately. 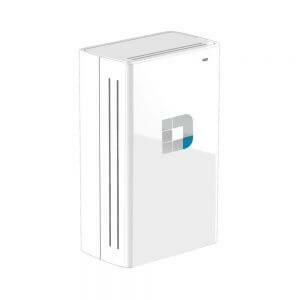 Enter the DAP-1520 (AC750) by D-Link; this device lets you connect to the wireless network with just a simple push of a button. It’ll also plug right into any wall socket without any hassle. It’s a solid and affordable choice if you want a basic device. However, if you want more features for your repeater, then you might want to look somewhere else. 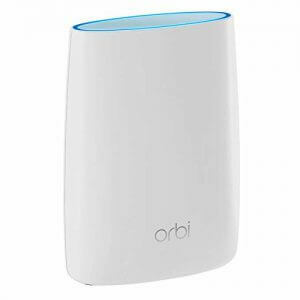 The Orbi by Netgear is perhaps the most expensive Wi-Fi repeater and router combo in this list. The package includes one router and one satellite. However, despite its enormous price tag, it does give you the advantage of enjoying a seamless Wi-Fi network. This pair of devices even uses a dedicated 5GHz frequency band for backhaul. In other words, both devices communicate using a private network. There’s very little chance of interferences to take place while accessing the wireless network. 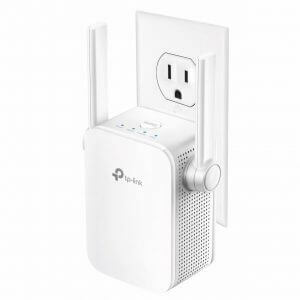 If you’re looking for a Wi-Fi repeater that can send signals that can easily pass through objects, then consider getting the TP-Link RE450. 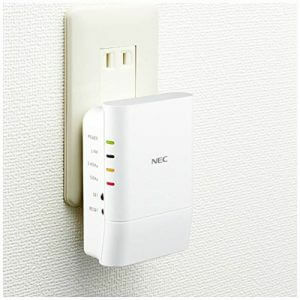 This wireless signal repeater gives you the Wi-Fi boost that you might need to reach the far corners of your house. It even comes with an easy installation feature so you don’t have to scratch your head trying to set it up for the first time. However, it’s one of the bulkiest devices of its class. Nevertheless, once you plug it in, you’re not going to move it around much. Furthermore, its communication speeds with wireless devices in the network are great. If you want a quality device, then you might think that you would need to spend a lot to get it, but this WiFi repeater from Coredy not only has a reasonable price tag but also comes with a good set of features. 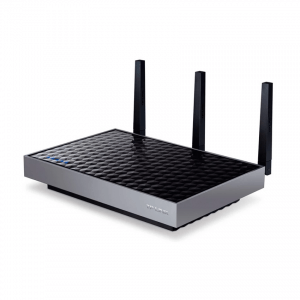 It brings 11n Wi-Fi technology to the table, and it’s even capable of reaching 300Mbps communication speeds. This repeater even has a slim and compact design so you can practically bring it anywhere you may want to go. If you want a high-quality and well-performing device, then you might have to sacrifice looks for functionality. That’s the case for the REC44M by Amped. This WiFi repeater isn’t the prettiest wireless signal extender on the market, but it certainly gets the job done. This repeater brings MU-MIMO technology to its list of features. Furthermore, it lets users take advantage of a dual-band frequency. There are also lots of settings to tinker with the REC44M, so tech geeks will have a field day using this device. 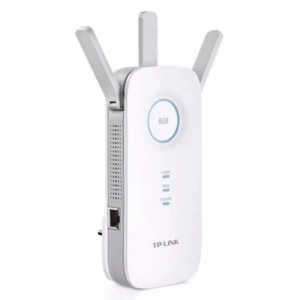 The top spot for the best WiFi repeaters on our list goes to TP-Link’s RE580D. It has good throughput performance, and it even comes with a range of wired ports. The initial installation procedures are an absolute breeze. Users can even configure several functions right off the bat. This repeater’s design would even let some mistake it for a full-fledged router. Ultimately, the RE580D brings a solid Wi-Fi experience to any home or office. Why Won’t the WiFi Repeater Connect to the Network? There are times when we make errors while installing of the WiFi repeater. If that’s the case, you’ll need to review the installation location and manual. Check whether or not your device is too far away from the repeater or near a microwave oven, as the radio waves will get several interferences. Also, check the SSID and Wi-Fi password if they’re correct. If that doesn’t work, then you might have to access the admin panel of your router. 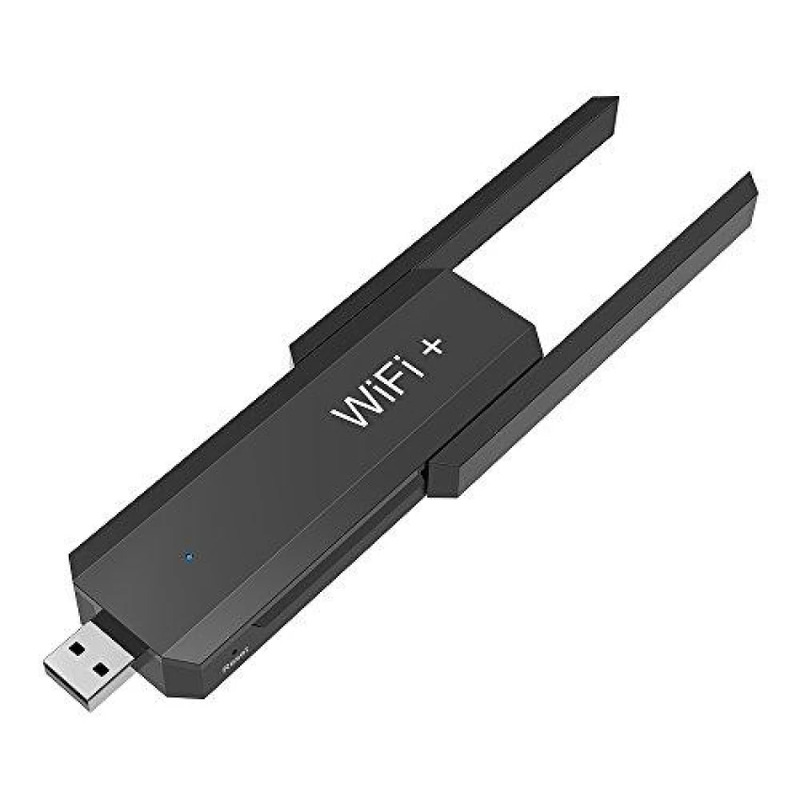 When you want to connect your personal computer to a wireless network, then it’s recommended to use a WiFi USB adapter. This device can pick up wireless radio waves from the repeater or router. All you have to do is plug the adapter into the correct port of your computer, and that’s it! 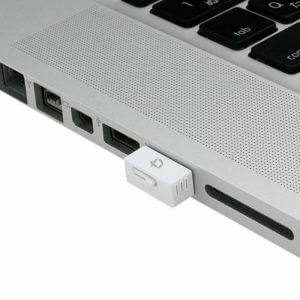 Most Wi-Fi USB adapters are “Plug and Play.” In other words, all you have to do is stick it into the appropriate port of your computer, and it’ll handle the rest. What did you think of our guide? Remember to consider some factors before selecting a Wi-Fi repeater such as price, ease of installation, and performance. Understanding your needs and preferences while following our guide will help you purchase the perfect WiFi repeater.